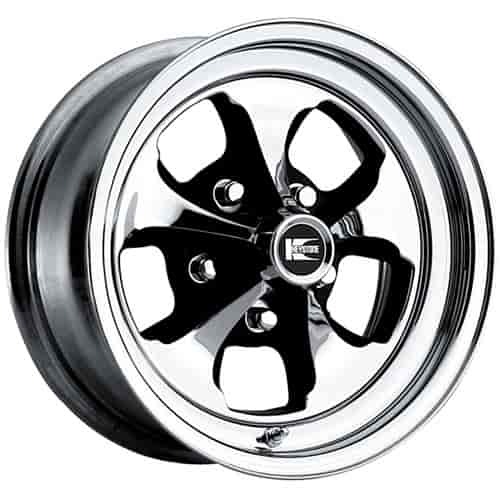 Cragar Keystone Klassic Wheel Size: 15" x 6"
The famous Keystone Klassic (Classic) Wheel by Cragar has a chromed steel outer rim with a black and machined aluminum center. The Keystone Klassic wheels also feature a strong two piece construction making them the perfect choice for your street/strip machine. 325699 is rated 5.0 out of 5 by 1. Rated 5 out of 5 by Hank1968 from Wheels I had these rims on my camaro in the 90's. I bought them again after the restoration. Looks good on a 1968 Camaro.